Tooth loss affects about 180 million people in the United States, leaving them at greater risk for further decay and additional tooth loss. Tooth loss can also take a significant toll on one’s self-confidence and self-esteem. As a top-ranked dentist in the Lower Manhattan area of New York, Dr. Lily Eng, at Sunny Dental Care, is a leading provider of state-of-the-art dental implants. Along with being a better solution to tooth loss than dentures and bridges, dental implants can even help prevent additional tooth loss in the future. 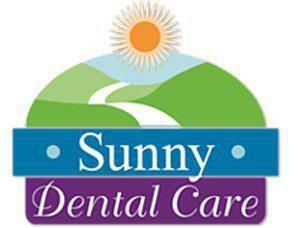 Regain your tooth and more, with a dental implant at Sunny Dental Care. A dental implant is a medical-grade post that’s implanted into the jaw bone where it acts as an anchor and support for a prosthetic tooth (or crown). Dental implants are a popular option for men and women missing one or more teeth because they’re far more secure and comfortable than bridges or dentures. For people missing multiple teeth, implants can also be used to anchor a partial or full denture. Dental implants usually require three separate office visits for placement. During your first appointment, Dr. Eng will place the post into the jaw bone. If the bone is very thin or weak, she may also perform a bone graft, using a small sample of bone tissue to augment the existing bone. Usually, the graft and post can be placed at the same time. Once the post is in place, the gum tissue is closed and the post is left alone for several weeks to allow the jaw bone to fuse with the post so it’s very secure and stable. During your second appointment, Dr. Eng will uncover the post and attach a second piece called an abutment. The abutment joins the post with the artificial tooth. Then she’ll take an impression and send it to the lab where the crown will be created. Your third appointment will include the crown being securely attached to the abutment and then gently buffed for a perfect fit. Dental implants do offer several advantages over dentures and bridges. First, they’re attached directly to the bone, so they’re very secure and won't slip and cause sore spots like dentures. Second, they can be cared for just like natural teeth with regular brushing and flossing and routine trips to the dentist to make sure the surrounding gums stay healthy. Third, because the post extends into the bone, it helps stimulate the natural bone replacement cycle, replenishing old, worn bone with new, healthy bone. Dentures and bridges rest on top of the gums, and they can’t stimulate bone replacement. As a result, the jaw bone will atrophy over time, and neighboring teeth can eventually become weakened and fall out. Because implants feel, look, and work like natural teeth, many patients say they feel more confident with implants compared to dentures and bridges.